No fishing will not be successful without good bait. Everyone knows that the best and recognized are the usual bait worms, which fishermen dug from the earth and used for the nozzle on the hook. However, in urban conditions the fishermen is not always possible to dig up worms for your favorite Hobbies, and before them, the question arises where to find the right bait. 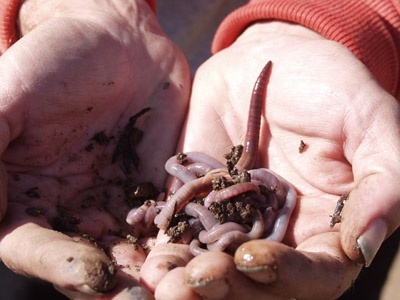 Buy worms in the store can be very expensive, and if desired, the fisherman can grow worms at home, always having at hand a sufficient amount of bait for fishing. How to grow worms at home? Use for breeding worms plastic or enamel basins or buckets filled with soil poor in humus. Constantly stir the earth in which live worms for this land must be uniform, free of stones, sand, roots and leaves. Stirring constantly with a land stay, not stray from, do worms go in balls. If such balls began to appear – retraite them, sharing hearts, and then mix again the earth. As food for earthworms, use a dry oat flakes. Pour the ground with water, sprinkle the dry oats and stir. You can also feed the worms dry bran. Do not overfeed the worms, the feed should be just enough so the worms have time to recycle it. The bucket 10 litres only three or four handfuls of dry Hercules in a week. Feed the worms once a week you need. Add food in small quantity of dairy products – it stimulates the birth rate of the worms and increases their number. Ensure that the earth, in which live worms, doesn't dry out. Constantly moisturize it with a spray bottle or bottle with a hole, but avoid excessive waterlogging of the land. Moisture content of the soil and mix it try every two or three days. Thus, with regular maintenance, you will have a constant supply of bait for fishing at any time.